There are two easy exercises for young learners. 1) It's a crossword including numbers 1-10. 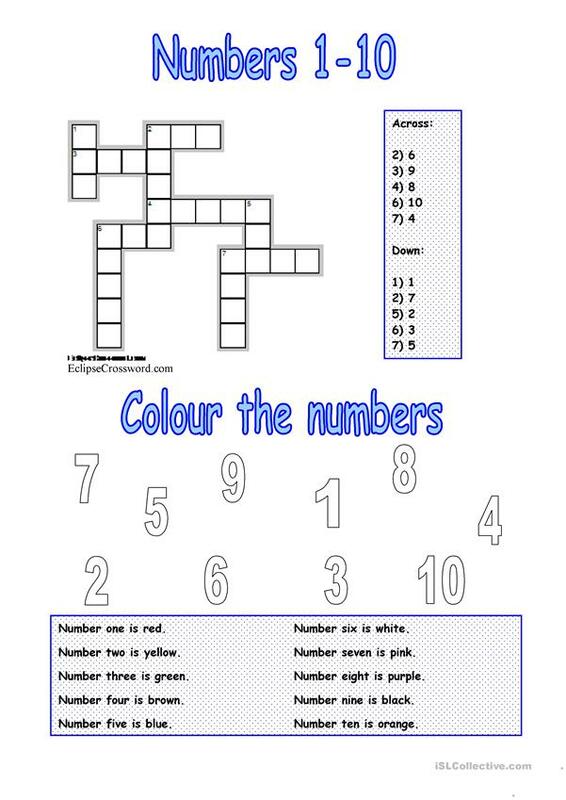 2) Colouring activity: ss have to read the sentences and then they have to colour the numbers. The present printable, downloadable handout is intended for elementary school students at Beginner (pre-A1) and Elementary (A1) level. It can be used for honing your students' Spelling skills. It features the theme of Numbers.